Michael Darr Barnes (born September 3, 1943, in Washington, D.C.) represented the eighth district of Maryland in the United States House of Representatives from 1979 to 1987. Sarah Jane Brady (née Kemp; February 6, 1942 – April 3, 2015) was the wife of White House Press Secretary James Brady, and a prominent campaigner for gun control. 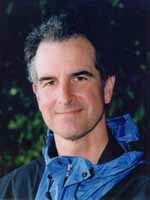 Thomas Crane Wales (1952 – October 11, 2001) was an American federal prosecutor and gun control advocate from Seattle, Washington, who was the victim of an unsolved murder. Hugh James "Jim" Saxton (born January 22, 1943) is an American Republican Party politician. 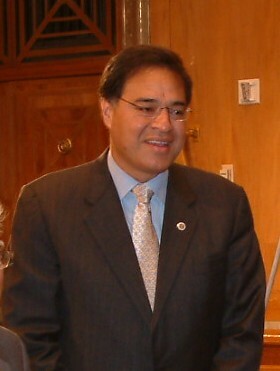 He was a member of the United States House of Representatives from 1984 to 2009. Victoria Anne Reggie "Vicki" Kennedy (born February 26, 1954) is an American lawyer and the second wife/widow of U.S. Senator Ted Kennedy, who was 22 years her senior. Carl Thomas Rowan (August 11, 1925 - September 23, 2000) was an American government official, journalist and author. Rowan was one of the most honored reporters in the United States.